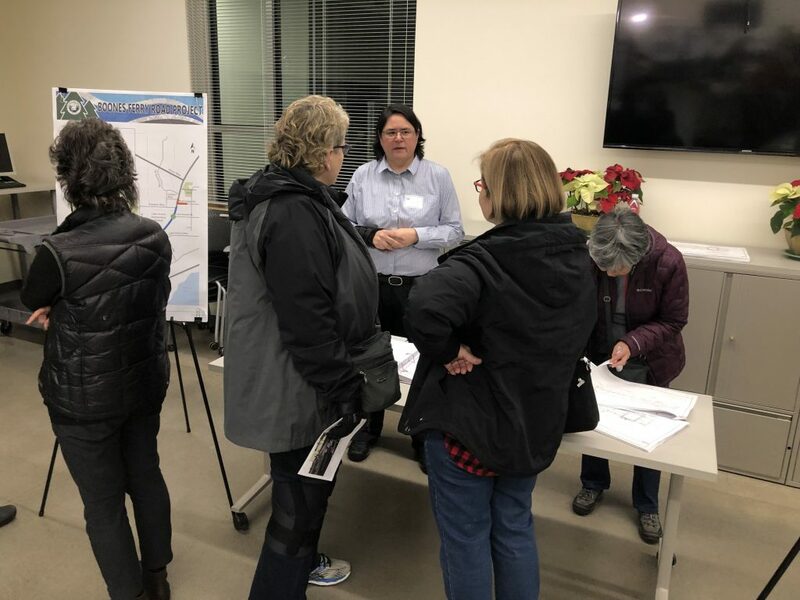 On Thursday, January 10, the City and project team held an open house to share the new street designs up close with the local community. 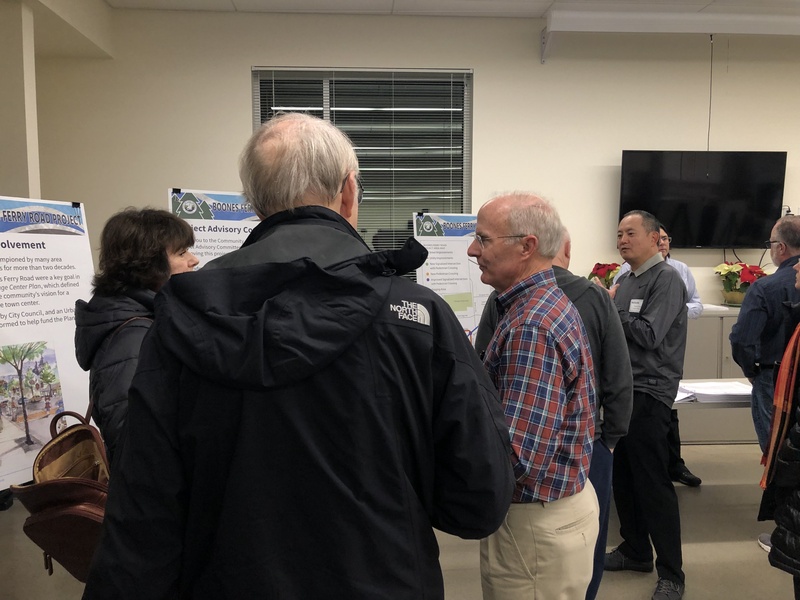 More than 130 community members attended the event, where there was great interest and a positive buzz throughout the room. 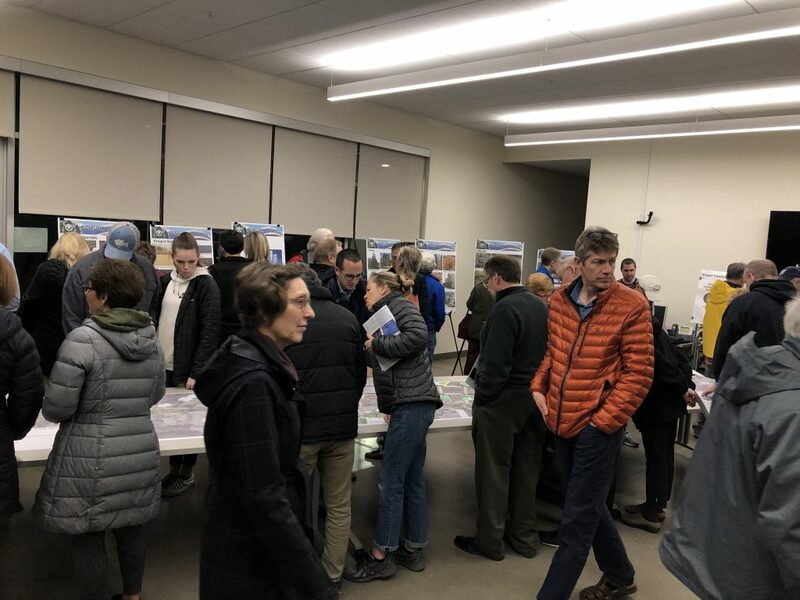 Many were enthusiastic about the project features and safety enhancements for businesses, and people walking, biking and driving. Thank you to everyone who attended! We appreciate your excitement for the project, and appreciation for construction to finally get under way this year! A meeting summary is posted here. 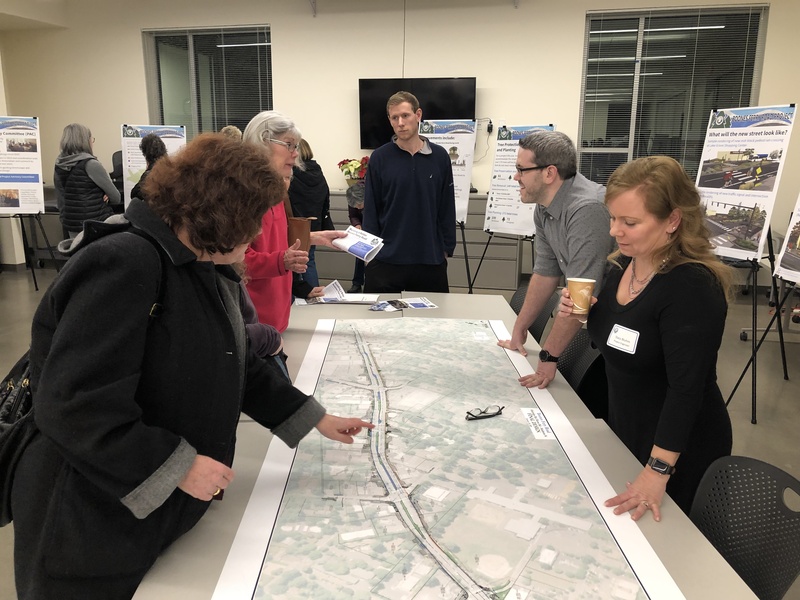 If you were unable to attend the open house, the boards and maps are available on the materials page of the website. The City is preparing to hire a contractor through a competitive proposal method in the coming months. As part of that process, the City will apply for a tree removal application and trees will be flagged. We will share more information before this occurs. 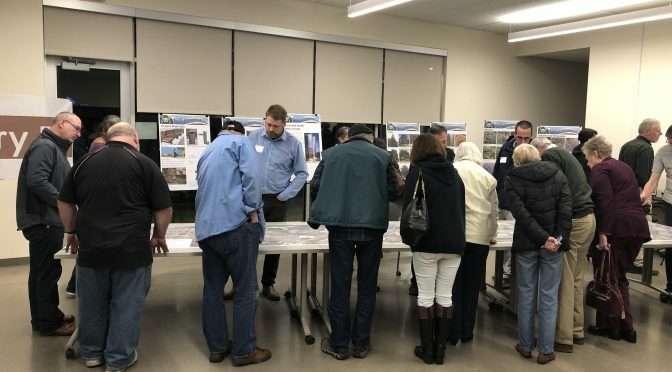 Once a contractor is hired, we’ll invite you to meet the contractor’s staff and our project team who will help keep everyone informed during construction. Major construction is expected to start this summer and take about two and a half years. For more information, or to sign up to receive e-newsletters, visit www.boonesferryproject.org or contact us! 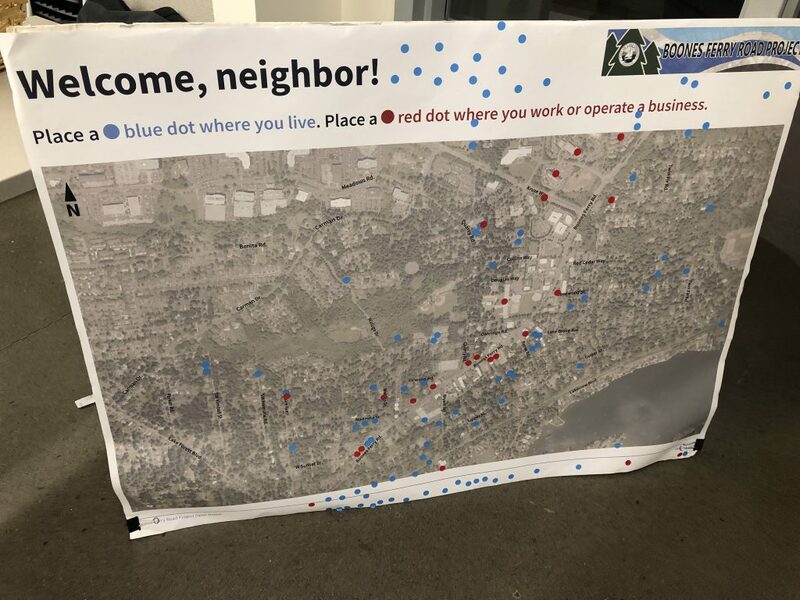 You can also read the latest in the Winter 2018/2019 newsletter or view the maps and graphics shared at the recent open house. Keep informed on the latest updates. For more information and to ask questions, contact us.